Police have warned that they will take a strong line on youngsters carrying knives following an incident within Cumbernauld Centre. 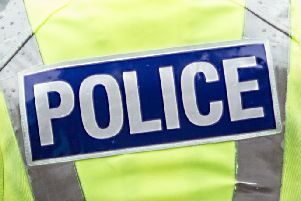 Police have confirmed that a 12-year-old boy and his 15-year-old friend were spied at 4.15pm near the Cumbernauld News office. They had been seen by a horrified shopper who noticed that one of the boys had a pen-knife on display. Although the child was not behaving in a menacing fashion, the shopper decided to contact police for safety’s sake and officers quickly attended the scene. The child saw the police and made a run for it but was pursued on foot. Not one but two pen-knives were recovered and the two boys who come from Carbrain and Seafar respectively were arrested and charged. The incident was the latest example of police stopping minors in relation to anti-social behaviour within the school holiday period. The Easter holidays in particular saw a spike in offences especially in the Craigmarloch area. Most involved alcohol. Inspector Phil Rose (pictured) said: “ This was an isolated incident and no persons were in danger. “If you see anyone not just children in possession of a weapon, alcohol or drugs or even involved in anti-social behaviour please call 101 or in an emergency 999.